You make the call. Between us we will set up a mutually convenient time to meet and discuss your requirements and ideas. When we meet have an idea as to what you want to achieve. Will you require a shower pump to increase shower pressure, what kind of tiles will you ideally want and what size, have you got a particular suite in mind? If you are happy with the quote please call as soon as possible to book a start date. The start date. The suite and tiles are usually delivered on the start date. The first job is to lay dust sheets on all carpets and floor coverings that are en route to the room in question. The second job is to remove the existing suite and tiles. Once the room is clear work can commence on fitting your new suite. This can take anything from 3 to 12 days depending on the complexity of the job. During the fitting process you will not be without water. Isolating valves are fitted to all pipework so that that individual items have their own water feed which can easily be switched on or off when required. Dustsheets are taken up at the end of each day. During the installation we will keep the work area as tidy as possible. We use dust extractors throughout the day which are connected to power tools in order to catch thevast amjority of dust at source. Once the room has been finished all fittings have a final check to make sure that they are watertight and working correctly. On completion you will be presented with an invoice. The guarantee. 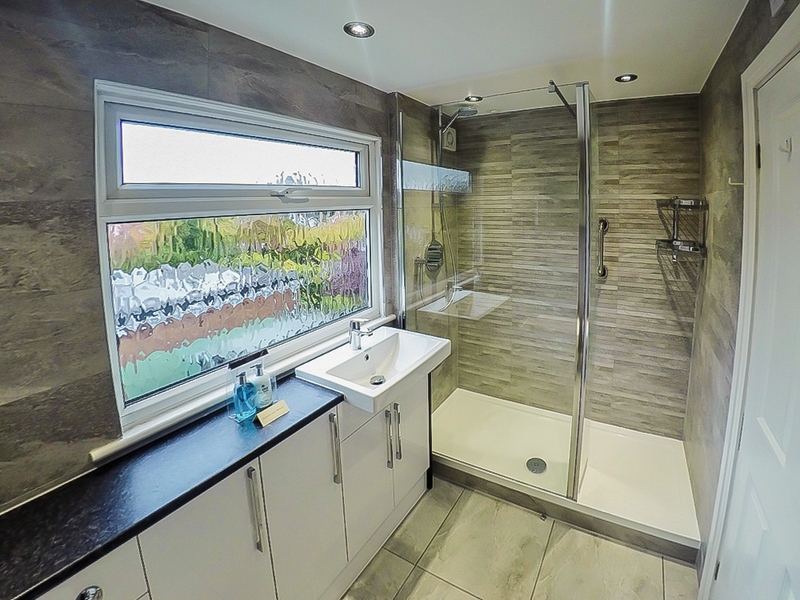 Your bathroom will carry a 12 month workmanship guarantee from the date of completion. Please note that we cannot guarantee the items that you have chosen as these will usually be covered by the manufacturers guarantee. Tiling is part of the bathroom fitting service offered. All types of tiles can be fitted whether they are Ceramic, Porcelain, Natural Stone etc. 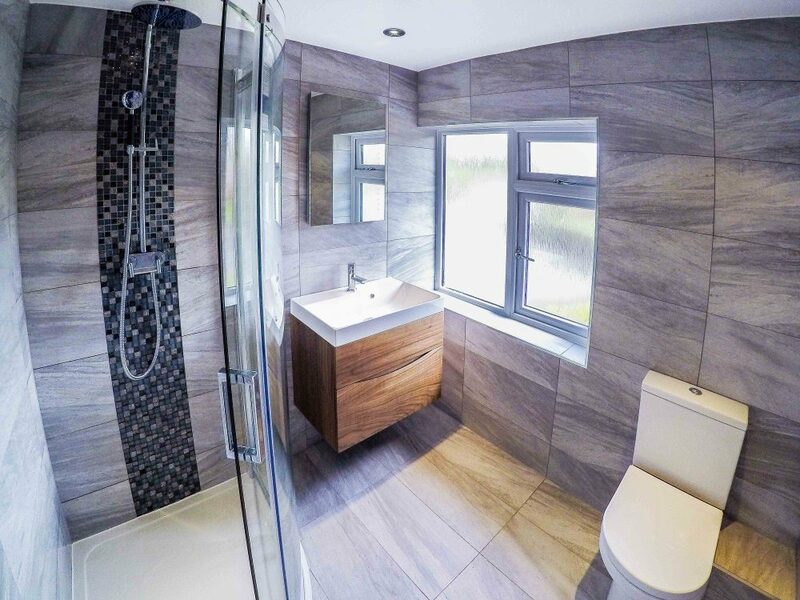 Tiling can make or break a bathroom depending on what kind of tiles are chosen but more importantly, how they are fitted. You can be assured that we only use the best adhesives and grouts. When tiling around baths and showers it is always recommended a tanking membrane is fitted. This stops water from passing through grout or sealants and damaging the plaster behind. It is a popular misconception that when a grout says ‘waterproof’ it means that water cannont pass through it. What it actually means is that it does not degrade in the presence of water. Grouts are cementous products which means that they absorb moisture in the same way a brick might. 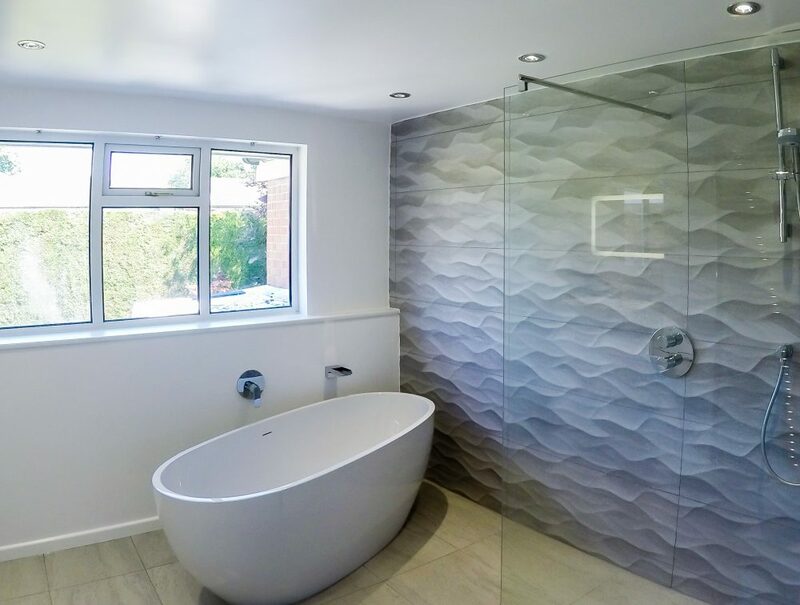 If you find that your current bathroom has black mould growing on the grout lines then chances are that water has passed through the grout and damaged the plaster behind it. We are happy to give advice on suitable tiles if you require it.